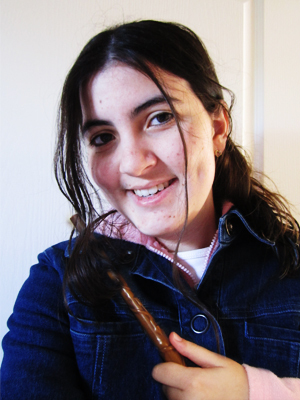 Accio Magic is a Harry Potter craft blog that began in August 2011 to prepare for a magical, currently non-existent party. It is noted this was created post-Potter to help keep the magic alive! Photos, tutorials and templates will be posted to help you plan your own! This blog will likely be quite disjointed – crafts and ideas in no particular order except as I think of them – and also very experimental. Many of these crafts I have not tried to make previously, so I’ll still be perfecting techniques and coming up with new ideas, that may already have been made similarly by other artists, but I’m here to show you how. I will attempt to post 2-3 times a week and vary between what I and others have come up with. 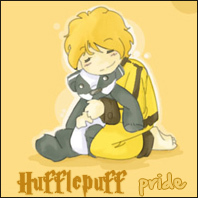 I’m 20, I’m from Australia and I’m absolutely Harry Potter crazy (as anyone would be with a Harry Potter blog). My earliest memory of Harry Potter was seeing the trailers for Philosopher’s Stone on TV, and having my friend ring up in Grade 4 and ask if I wanted to go and see it with her. I said no. I totally didn’t think it was for me. I then met my brother’s girlfriend (now sister-in-law) a year later, who introduced the wizarding world to me and here I am, 7 books and 8 films later. I’m studying creative and professional writing at university, and love the crime genre. I have a novel in the editing stages I hope to get published one day, along with the rest of my works in progress. However, knowing where all my obsessions lie with Harry Potter, I’ve started to try my hand at writing fantasy. I have always loved art but haven’t done an over lot of it since leaving school, so this blog has been a great way to get back into it. I hope you have as much fun as I do with them! 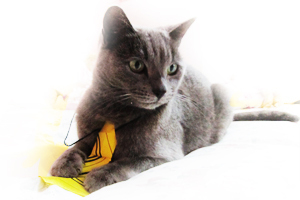 Shadow here is 6 years old, a Russian Blue and is an extremely loyal Hufflepuff companion of mine. She has – on occasion – been known to watch me play the HP Lego PC games. She will always check out what I’m making and give her approval or disapproval accordingly.